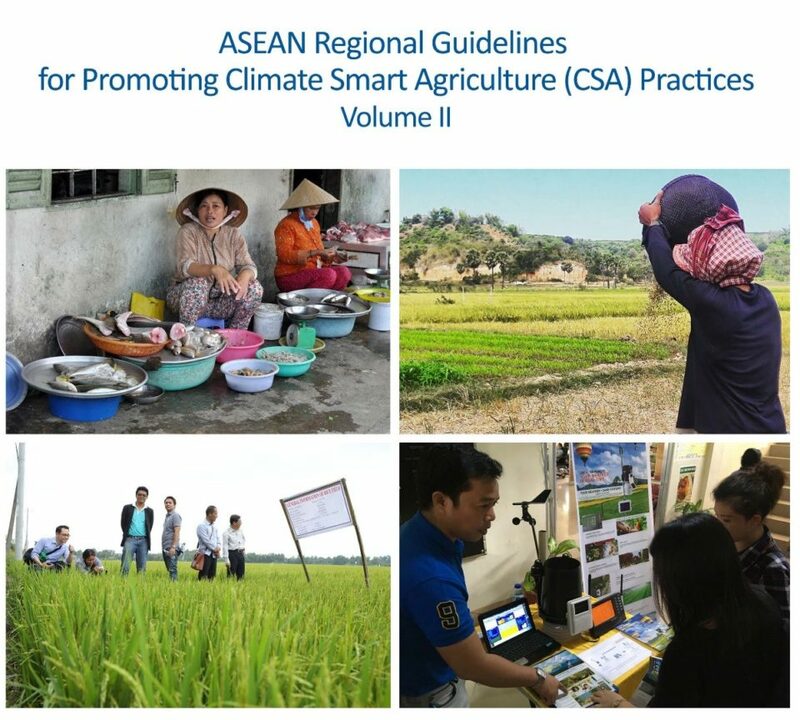 In an effort to continue the promotion of practices showcasing climate smart agriculture (CSA) amongst policymakers and farmers in the Southeast Asian region, the ASEAN Climate Resilience Network (ASEAN-CRN) released the second volume of the ASEAN Guidelines for Promoting CSA Practices at the 39th Meeting of ASEAN Ministerial Meeting on Agriculture and Forestry in Chiang Mai, Thailand from 25-29 September 2017. Building from the first Guidelines, a second volume was developed by the ASEAN-CRN in cooperation with technical and development partners who are also working on the promotion of CSA practices in the region. 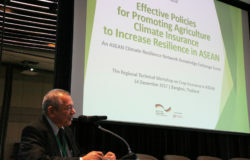 It covers four (4) additional priority practices for promoting climate resilience in ASEAN which were initially identified by the member states in the study on Promotion of Climate Resilience for Food Security in ASEAN, namely: 1) Integrated Farming Systems, 2) Rice Shrimp Farming, 3) Agricultural Insurance, and 4) Climate Information Services for Agro-Advisories. 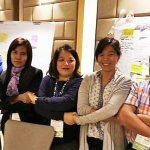 It aims to continuously: 1) facilitate and formalize the exchange and sharing of knowledge and information on CSA practices to enhance climate resilience and improve agricultural productivity, as well as 2) promote the scaling out and scaling up of CSA practices and policies in the ASEAN region. 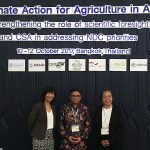 ASEAN recognizes that regional cooperation is crucial in addressing a pressing global issue such as climate change in the agriculture sector. 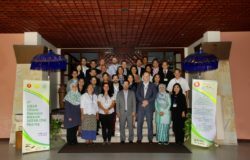 Hence, the 12th Meeting of the ASEAN Technical Working Group on Agricultural Research and Development (ATWGARD) in Cambodia in May 2017 endorsed the second volume of the Guidelines to the 39th AMAF for approval and endorsement this year. The development of the Volume 2 of the ASEAN Guidelines for Promoting CSA Practices was an activity of the ASEAN-CRN. 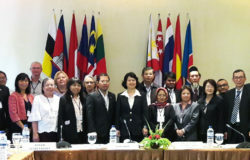 The coordinative and management work of the ASEAN-CRN is largely supported by the Forestry and Climate Change (FOR-CC) project under the ASEAN-German Programme on Response to Climate Change, of the Deutsche Gesselschaft fur International Zusammenarbeit (GIZ) GmbH, with funding from the German Federal Ministry for Economic Cooperation and Development (BMZ).